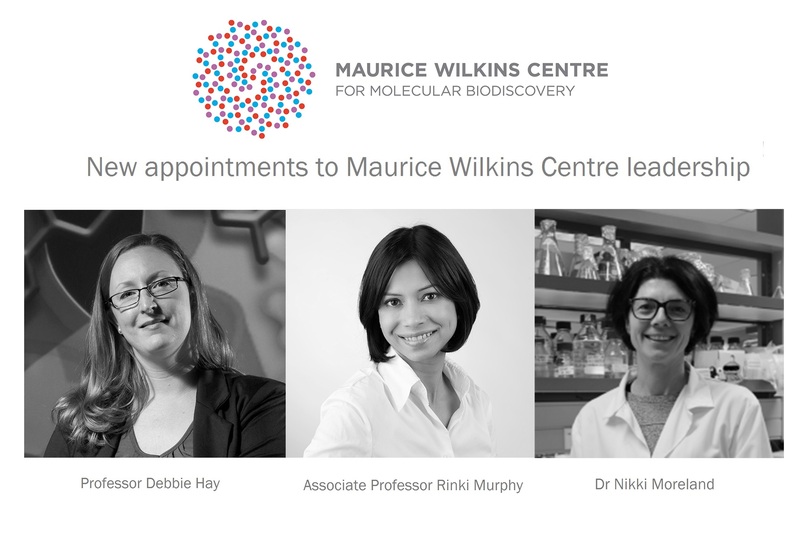 It is with great pleasure that we can announce some important changes to the Maurice Wilkins Centre leadership. A team led by Deputy Director Professor Peter Shepherd and Affiliate Investigator Dr Brie Sorrenson has uncovered a new mechanism that controls the release of insulin in the body. Researchers associated with the Maurice Wilkins Centre have received a major boost after several investigators received Marsden funding last week. Professor Gavin Painter from Victoria University’s Ferrier Research Institute has been awarded funding in the Ministry of Business, Innovation and Employment’s 2016 Endeavour Fund science investment round. Two Maurice Wilkins Centre investigators have received Sir Charles Hercus Health Research Fellowships in the latest round of funding from the Health Research Council. Three Maurice Wilkins Centre principal investigators have been announced as Fellows of the Royal Society of New Zealand this week, an honour recognising their international distinction in research and scholarship. Meet the budding global entrepreneurs, or “überpreneurs”: seventeen associate and affiliate investigators from the Maurice Wilkins Centre who recently completed a two-day workshop designed to nurture their entrepreneurial mindsets and world-changing ideas. 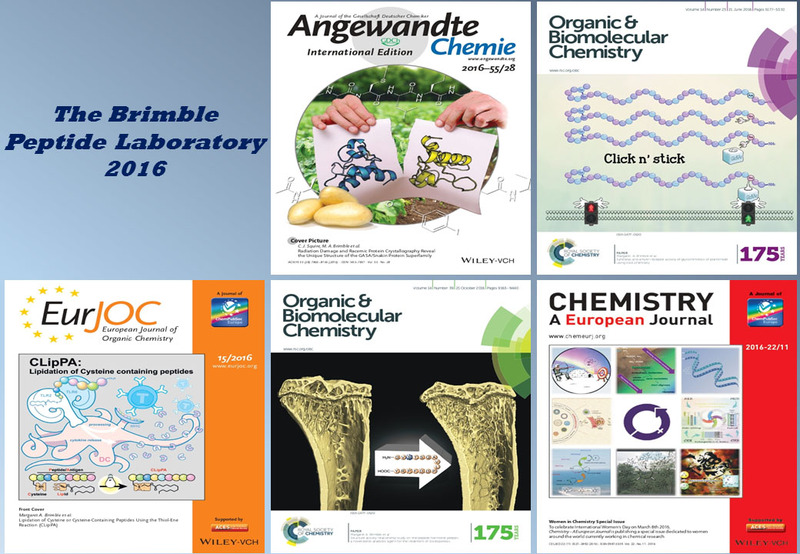 Distinguished Professor Margaret Brimble and colleagues within the Brimble Peptide Laboratory have attained five cover publications in 2016 scientific journals.